The ideal basis for easy-to-install, adjustable ﬁxings. The HALFEN HCB Concrete Bolt has been specially developed to fasten greater loads in concrete. They offer customers more than 20.000 products and provide the technical solutions for application in construction and industrial projects. Architects and engineers take advantage of their products and their technical software in their projects. Construction companies, precast factories and (distributors / resellers) use their wide selection of products in commercial and residential construction, for civil engineering, excavation projects, for traffic and all types of infrastructure developments. Customers in industry refer to HALFEN for technical solutions in mechanical engineering, vehicle manufacturing, plant engineering, the chemical industry, and also for many other types of industrial projects. HALFEN reinforcement systems: User friendly reinforcing products with the highest level of quality and safety as standard. Products for the most modern construction methods and in the line with the most up-to-date technology. HALFEN provides efficient building projects. HALFEN lifting systems: Individual solutions for lifting and transporting pre-cast concrete elements. HALFEN guarantees highest quality materials, high grade manufacture and products with the proven reliability of a global brand. 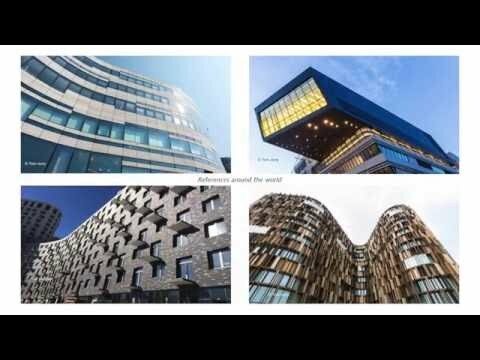 HALFEN concrete pre-cast systems: Reliable connection of concrete façades and safety for demanding facades. HALFEN concrete pre-cast systems insure the quick and economical installation in pre-cast. 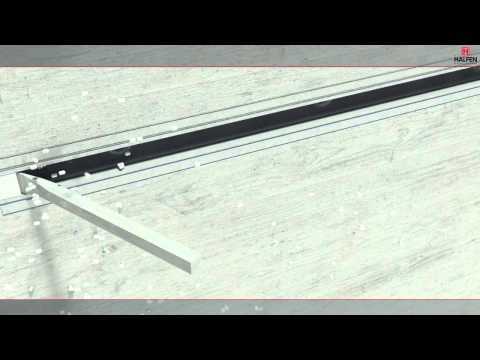 HALFEN framing channels – the flexible all-purpose assembly system. Together with the corresponding HALFEN bolts or threaded plates, HALFEN framing channels offer all the advantages of adjustable bolt connections and framing construction.